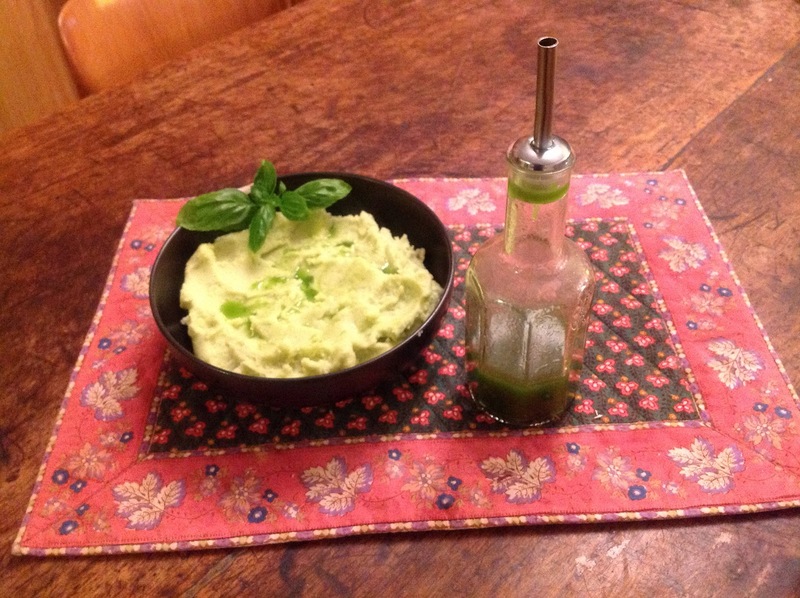 The Perfect Pear Caterers: Not Just Pesto….. The feeling of Fall in the air is, among other things, a reminder that it is time to harvest the basil before it goes to seed or succumbs to the first overnight frost. This year’s crop has been a bumper one and we have had pesto sauce, caprese salads and basil chiffonade in our herb salad menus all summer long. 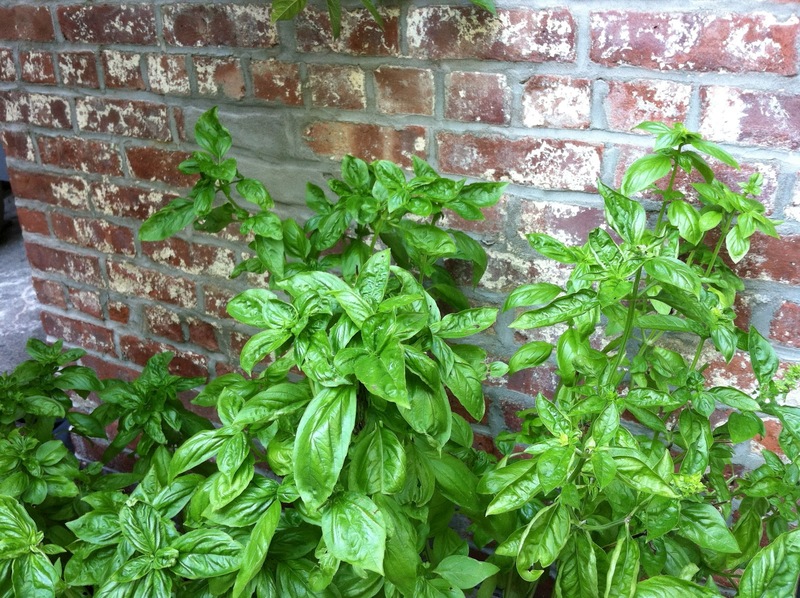 But there are many things to do with the basil to preserve it for use during the cold weather months. We puree it with olive oil and freeze it in ice cube trays for future use. We infuse oil, which is a great addition to minestrone, white bean stew, risottos and mashed potatoes; and as an accompaniment for grilled fish. A trick to retain the basil’s bright green color is to blanch the leaves in boiling water for a few seconds and then immediately plunge them into an ice water bath. Wash 2 packed cups of basil leaves taking care not to bruise them. Plunge them into boiling water for no more than 15 seconds and then submerge in ice water. Drain and dry the leaves and gently squeeze out as much moisture as possible. Puree the leaves in a blender with 1 cup of olive or canola oil. Add salt and pepper to taste. Store in the refrigerator for a week or freeze for future use. 2 lbs. Yukon gold potatoes peeled and cut into 3/4 pieces. Put potatoes in a saucepan with enough cold water to submerge. Add salt, cover and simmer until potatoes are soft. Drain, add remaining ingredients and hand mash or puree with the flat paddle of an electric mixer until desired consistency.